This particular project involved sourcing and supplying garden tools which had been designed for children. This was a set of different tools, encompassing the usual suspects such as shovel, fork and rake as well as children’s wheelbarrow. The tools were designed to be appropriate for children and are smaller than their adult counterparts by roughly a third. They also have a very unique handle which was designed to help children to hold the handle correctly and also to make it easier them to manipulate the tools. 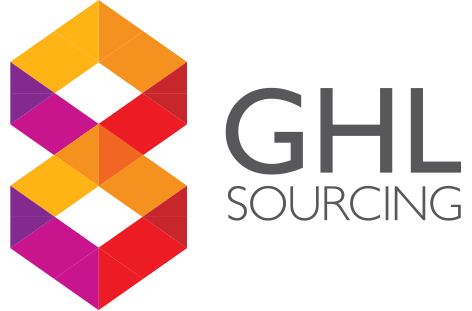 Running through our GHL procedure, we meet with the client several times (after putting a standard non-disclosure agreement, or NDA for short, in place) and put together a project overview for this product. During this process GHL work with the customer to discuss as much as possible – including the budget involved, the certification that’s expected and any other specific details that the customer had in mind about the project. This is an important moment in setting up production. Without the correct, specific information, a manufacturer will fill in any gaps with their best assumption. This is where we’re able to use our procedures and experience to help fill in those gaps (or at least ask the question about how they ‘could’ be filled in). Once we have a good idea of what the customer wanted we were able to discuss this with our staff in China and, after liaising with them, look over which factory in our portfolio of factories would be the best match for this project. We wanted someone who could make the injection moulded handles (which had a over-mould to make things a little more difficult), but could also work with other factories to buy in and to control the quality of the tool heads. We run a weighted points system on factories to evaluate their strengths and weaknesses. This focuses on the obvious such as price, payment terms, ethical standards and quality control, but also take into account reliability, response time and the factory’s ability to think around a problem. One factory we’d worked with several time before stood out and after discussing the project with them they were keen to get started. We monitored the process, visiting the factories ourselves or sending of our team to oversee and were able to arrange samples for our customer. These went through a number of changes as the factory were able to give advice from their experience as well. Once the sample were approved we organised the EN71 testing certificate required for the children’s tools ensuring compliance with the European Market (as the customer had asked for during the original discussions about the product). On behalf of the client we negotiated with the factory to get the best possible price and to hammer out a favourable purchasing agreement. As we knew the factory ands were already doing business with them we were able to negotiate favourable terms – including restricting the any prices increases from the factory and agreeing a noticed period before any cost increases would take place. The customer wanted to split their order into three orders over the course of the year and we helped to arrange this with the factory (including agreeing that the factory would warehouse some of the extra stock between orders). We negotiated clauses in the agreement for late delivery. We were also instrumental in organising a breakdown of the forecasted orders from the customer so that the factory was better able to manage the stock levels and to ensure that everyone involved the supply chain delivered their components on time.